Home Horse Racing Who Are Our Top Trainers? 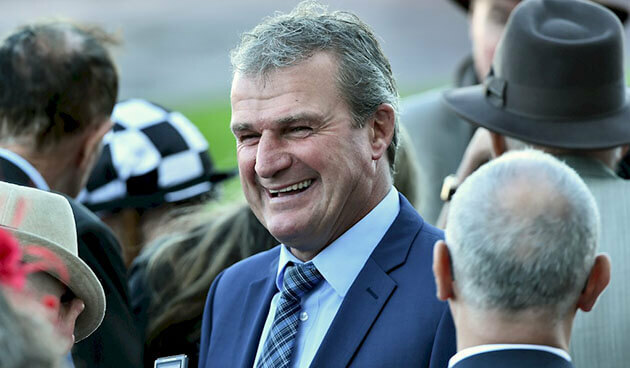 Darren Weir and Chris Waller are dominant, but who else is worth following? There’s no one person with a greater influence on a horse’s career than the trainer. The first couple here are certainly smaller operations than the rest, but they seem to really punch above their weight. Cumani obviously has a small team, but the horses generally look good and run well. 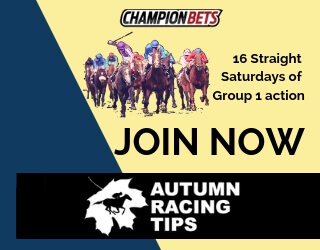 Another smaller operation, but has a good strike rate and turns out plenty of winners. They seem to run their horses when and where they’ve got a chance, and that good placement ensures plenty of success. Godolphin are obviously a high-quality organisation. They just train to the good processes that’ve worked for them across many years and different jurisdictions. The horses look always strong, well fed and are well prepared. On top of that they often have the best jockeys on, which makes a big difference. Maher had the long break and it’ll still take him a while longer to get back to where he should be, but he’ll get there. 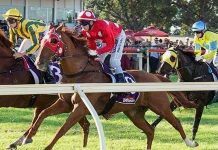 The stable buys really well – they have nicely-bred horses and have some really good clients and studs behind them. The obvious number one. Clearly they have the most horses, but it’s not just weight of numbers. Their runners are very well prepared and they clearly do the most work. 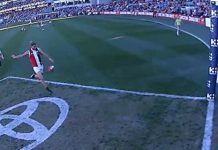 And a major factor is their tactics – they have someone good doing the form, and they always have somebody walk the track to make sure they’re on the best running. I think that’s a big difference, plenty of stables don’t place their horses as well, and get their tactics wrong. This is something the Weir operation is obviously very good at, and it shows. A lot of it is about weight of numbers in Sydney – there’s obviously a bunch of big stables that dominate. Gai absolutely dominated in her prime, but their number of starters has clearly dropped right off. 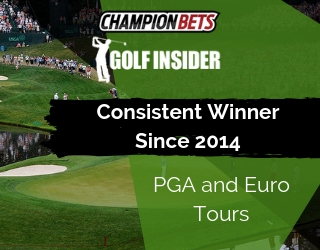 So they’re a smaller operation, but are still getting constant winners. They still stick to Gai’s proven methods: their horses are very fit and are generally up on the pace. For punters, that’s great – you know they’ll be forward enough and a good chance to win. So while the stable isn’t the size it was, they’ve stuck to the methods that work. If I like one of their horses, then the Snowdens are my favourite stable to back. They have a real ability to produce horses that can win at any stage of their preparation. They have less runners than the huge stables, but are the ones that get closest to the big boys. For a Newcastle-based trainer to be fifth in the Sydney premiership is incredible. The stable have always been good trainers and have had a big reputation going back to Kris’ father. 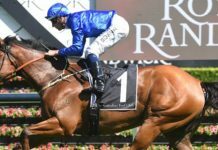 Due to the location they have a lot more in provincial and country racing than others here, and to have an operation like that and also turn it into one of the biggest competitors in Sydney racing is amazing. They have plenty of really high quality horses in Group racing too. Across a longer period, Godolphin just always turn out winners. While they can have a good or bad run at times, the wheel always turns – they’re just highly professional and will always have winners not far away. It must be the most impressive training operation ever seen in the country for its sheer scope. Particularly with the multiple locations they have now, Waller is clearly happy to delegate to trusted lieutenants. People can rightly say it’s all down to weight of numbers, but the horses are placed very well and give you a great degree of confidence as punter. Group 1 racing is interesting – it’s much more down to individual horse quality and ability than the trainer. For example, at a regular meeting you can be nervous about taking on a Waller… but you’re much more inclined to take him on in Group 1 races, as no matter what the stable you know the horse in there on merit. Of the other Sydney trainers, Gerald Ryan has fewer starters but has a lot of really good fillies and mares. Trainers like Mark Newnham and Brad Widdup also have less starters at the moment but are on the way up. It’ll be interesting to see if they can parlay good starts to their careers to competing with better runners and jumping into the top division. They have some big syndicates behind them so are getting plenty of runners. 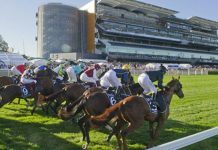 Spring racing is only getting better as we hit October. 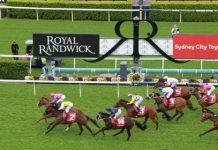 Get Best Bets from two of our most successful analysts – Trevor Lawson and Mark Rhoden – for 25+ Spring racing meetings in both Victoria and New South Wales, including all Group 1s. It’s the only way to bet this Spring Racing Carnival.